Unless you're a professional copywriter or journalist, writing content for a website can feel daunting. Many people experience anxiety because of a negative experience during school, while others are nervous about publishing their work online for the first time. Keeping fresh content on your site, however, is essential. And if you're a small business owner or one-person marketing team, the responsibility of writing this content falls to you. The good news is that writing is like any other skill--the more you practice, the better you become. Even if you don't consider yourself a writer, you can learn the skills you need to create clear, relevant content for your site. Knowing what you want to accomplish with a piece of writing dictates the way you write it. If your purpose is to encourage the reader to click on a button, your text should be short and your language direct. On the other hand, if your purpose is to share the mission of your organization, your text will probably be longer and your language more descriptive. Every piece of writing on your site, regardless of how small, should have a clear purpose behind it. If you don't know why something is there, remove it. 2. Pay attention to your audience. Your readers have their own reasons for visiting your site. If you're not providing valuable and relevant content, they'll find another site that will. One of the best ways to keep your audience in mind while writing is to ask yourself two questions: What does my audience already know? What do they want to know? The answers to these basic questions will help focus your writing on content that actually matters to your readers. Writing in stages is a great method for preventing frustration When you're brainstorming, write down a rough outline of your ideas and flesh them out later. If you find yourself stuck on one sentence, mark it to be revised and move on. This strategy will also help you keep track of great ideas. If an interesting thought pops into your head, write it down. You can always come back and perfect it later. Occasionally, you may find yourself falling back on "rules" from high school English class. You were probably told to avoid pronouns like I or you, contractions, slang, fragments, etc. While these guidelines make sense in academic writing, they don't translate well into everyday life. Your writing should feel natural to you and your audience. Don't force yourself to use overly complex, formal language if that's not how you or your audience would normally speak. Your audience will be able to sense that your writing is inauthentic. 5. Keep your platform in mind. Writing online content poses unique challenges for a writer. On a printed page, paper width is static. On a digital page, however, page size varies by screen. Testing your content on multiple platforms is essential to ensure important information isn't cut off or hidden "below the fold." Page length is another important factor to consider. On a printed page, your content might be broken across multiple pages. In a blog post or article, your content will probably be presented as one long page. Using short paragraphs, headings, and lists breaks up the text and prevents your readers from being overwhelmed. 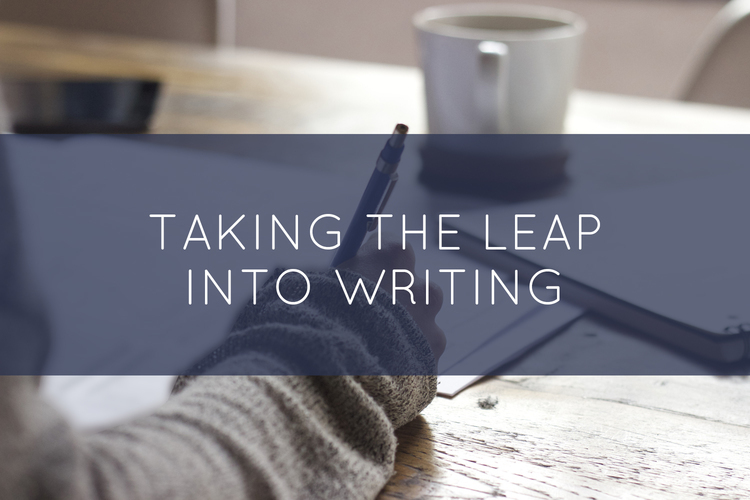 Regardless of whether you're new to writing digital content or even just a bit rusty, these five tips can help you take that initial leap into writing. To learn more about how WebVolta can help you find your voice and tell your story, contact us! We'd love to learn more about your organization.